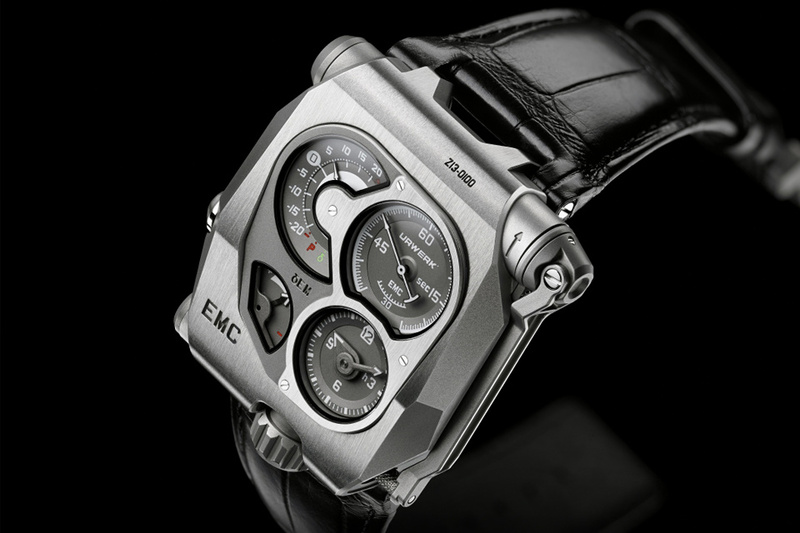 Control freaks, take notice — the Urwerk EMC Watch ($TBA) gives you more authority over the functionality of your timepiece than any watch before it. With only the touch of a button, you can access the timing rate of your watch, allowing you to fine-tune the way it tells time. Because conditions like position, temperature, and shock affect the timing regularity of your watch, having this information gives you the control you need to adjust your timing rate to suit any situation. Made from titanium and steel, with a satin finish and sapphire crystal, this watch is made to last — while a power reserve of 80 hours will keep it going for days.